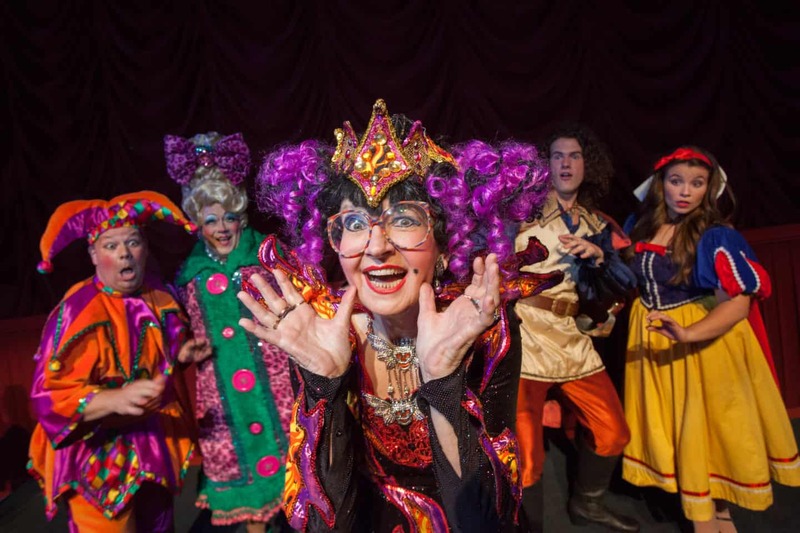 There’s no such thing as a bad pantomime at Malvern Theatres, but this year’s is a corker. Big name stars, catchy music and a bucketload of fun. In fact, we all agreed that this year’s panto was the best we’ve seen. And we’ve seen each and every one for the past six years. We meet Snow White briefly as a child, learning the sad tale of her mother and father’s death. She ends up as a slave to her wicked stepmother, the Queen, with only her best friend Muddles to keep her company. The Queen is desperate to marry Prince Frederick, and summons him to meet her. When he runs into Snow White in the wood, the story takes a dark twist, with the Queen determined to see Snow White dead. At the interval, things are looking a little unnerving for Snow White, despite the fun and laughs throughout the performance. The second half is even faster paced than the first, with upbeat songs including plenty of audience participation. The children were totally besotted with Muddles and the disastrous rendition of the 12 days of Christmas he performed with the Prince, Grouchy the Dwarf and Dolly had them in hysterics. Throughout the pantomime, there were plenty of subtle jokes to entertain the adults in the audience. I was delighted to see older children getting into it too, I do hope it will always be one of our family traditions. The Dwarfs cottage and the mine they work in were brought to life with favourite songs. Of course, the wicked Queen managed to feed Snow White the poisoned apple, but the Prince saved the day for a traditional happy ending. Snow White and the Seven Dwarfs stars Su Pollard as the Wicked Queen, alongside Malvern Theatres pantomime regular Mark James as Muddles. Francesca McKean and Aidan Baynard play the happy couple, Snow White and her Prince. Philip Meeks takes on the role of Dolly, Muddles’ mum and the seven dwarfs delight the audience with well known songs and their love of Snow White. 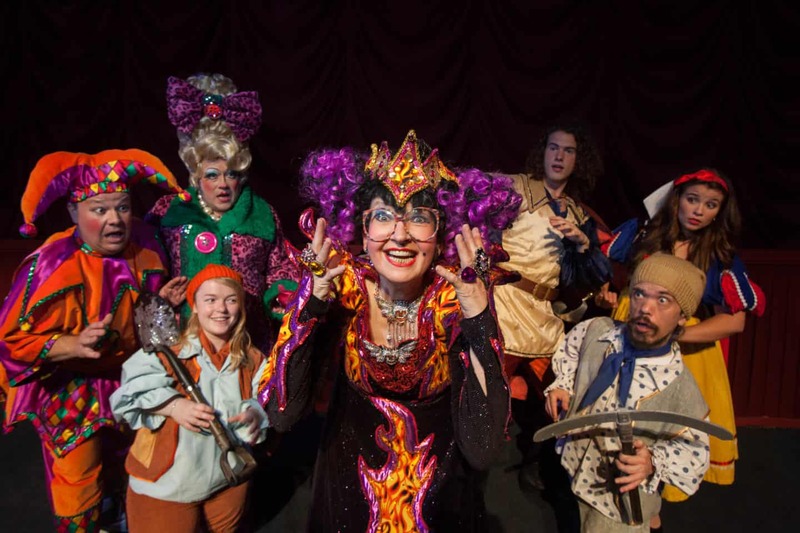 If you’re looking for a professional, upbeat pantomime that’s fun for the whole family, Snow White and the Seven Dwarfs at Malvern Theatres fits the bill. Our girls were totally captivated by the whole performance. There are a few parts that are quite scary for little ones. My two were fine, but I did here a few very small children crying in the theatre so I wouldn’t advise taking little ones who are particularly sensitive. 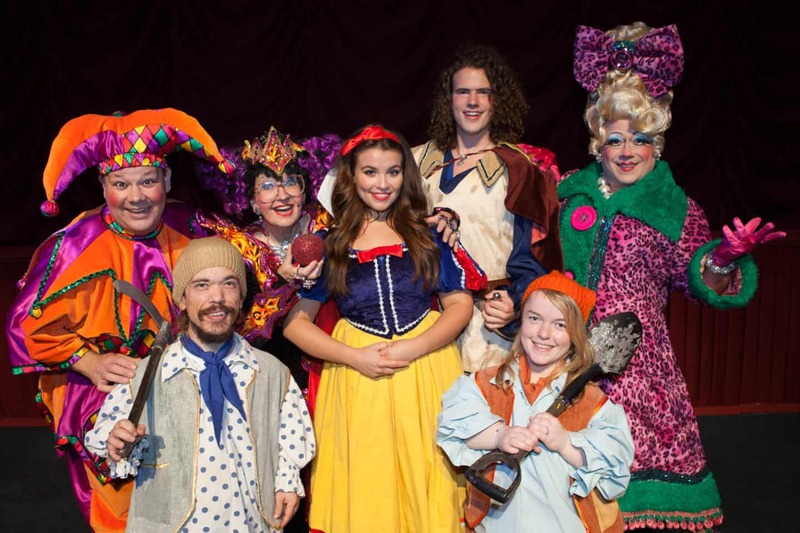 Other than that though, we would all highly recommend Snow White and the Seven Dwarfs at Malvern Theatres. We’re already looking forward to a magic carpet ride in 2019 because next year’s pantomime at Malvern Theatres is Aladdin! 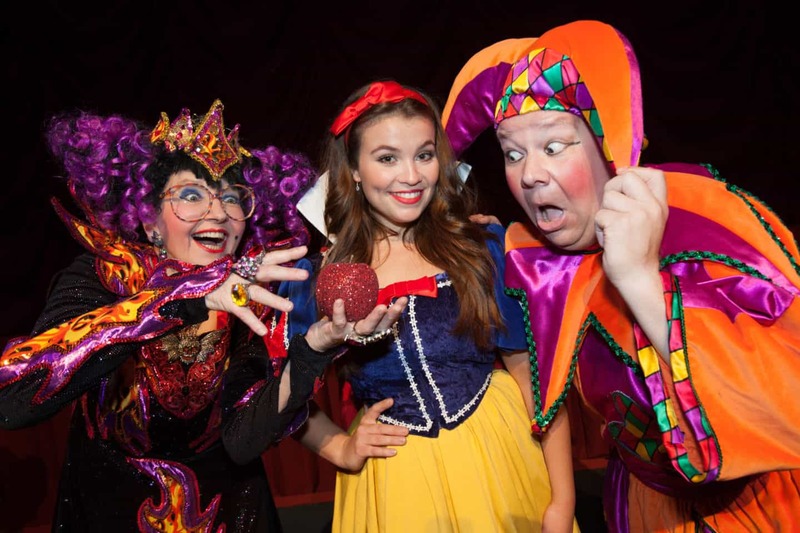 Please note, we were invited to Snow White and the Seven Dwarfs at Malvern Theatres to allow me to produce this blog post. All views, opinions, excited children and irritating Baby Shark earworms are my own. It sounds great! Glad the girls weren’t scared because they can get a bit dark sometimes. You know I love a good pantomime and I’m always amazed that a small town like Malvern gets proper famous people in the panto, because the pantos in Gloucestershire don’t. Malvern theatre is a bit of a gem actually, we’re so lucky with the productions that come here. We saw an amazing play with Ruth Jones in it last week too. The panto is always brilliant but it’s honestly the best one we’ve seen so if you do decide to go to one this year, I’d highly recommend it.